For the food brand marketer, Moving Your Brand Up the Food Chain is sure to be a treasure trove of marketing intelligence and advice. There are certain basic marketing principles that can be applied to any consumer brand, but navigating the ins and outs of the food industry is what makes Moving Your Brand Up the Food Chain stand out. 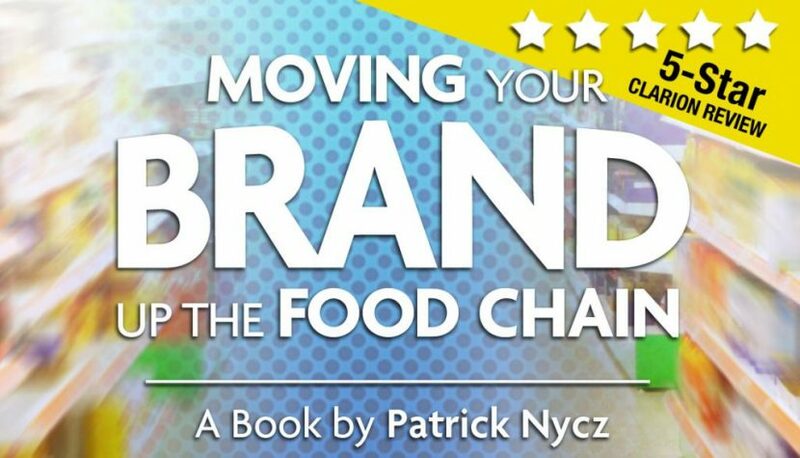 With decades of consumer packaged goods (CPG) experience and now running NewPoint, a marketing firm focused on the food industry, Nycz could not be better positioned to write this book. It could easily have turned into a straight sales pitch for his company, but instead, Nycz uses intelligence he has gained working in the industry and willingly shares a wealth of knowledge that smaller food brand marketers can apply to their own business challenges. 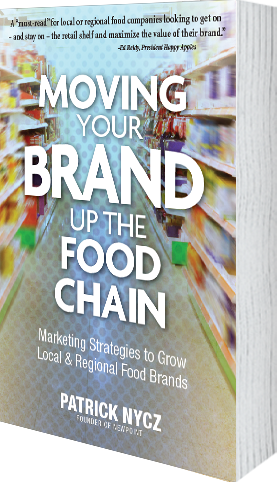 The book is well organized into five sections: Why Now for Local and Regional Food Brands, Brand Reconnaissance, Brand Advantage Strategies, Brand Growth Programs, and Brand Prosperity and Long-Term Growth. Just by the very titles of these sections, it is obvious that the content emphasizes the importance of marketing the brand. This could not be more appropriate, given the highly competitive nature of both the traditional grocery store and online stores. Simply getting noticed on shelves or on a web page is a major hurdle, never mind influencing product trial. Each of the book’s sections clearly and carefully lays out marketing strategies and tactics designed to take on this daunting challenge. Very tailored to food brands, the chapters are detailed without being overwhelming. The author makes no assumptions about the reader’s level of expertise; the content is just as informative for experienced as for novice food marketers. Topics include planning and research, brand identity and brand campaigns, brand management, sound advice about public relations (especially crisis management), and strategic product development.